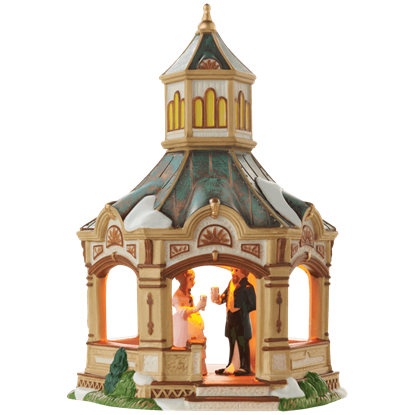 A beautifully hand painted and elegantly crafted tribute to the famous Victorian author Charles Dickens and his wife, Catherine, the Anniversary Gazebo is a collectible statue by Department 56, part of the Dickens Village collection. Before the zenith of the Industrial Revolution in Europe, the miller would grind corn for his neighbors in Brandon Mill at the end of a dusty village road. 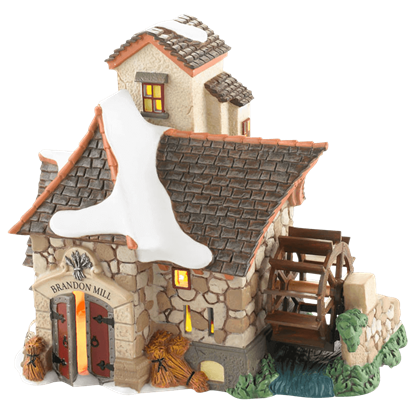 This illuminated porcelain watermill features a wheel that actually turns. With a hanging sign reading Nibs and Walnut - Fine Chocolate to the Queen, this impressive London chocolate shop is a sight to behold. 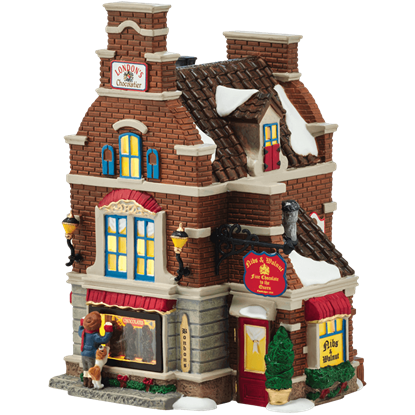 The Dickens Village Christmas Sweets displays the building in brightly colored, hand painted detail. 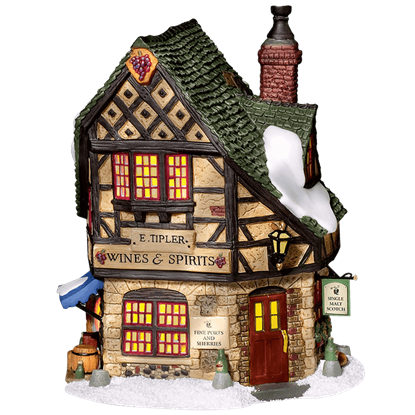 A welcome establishment for the local gentry to indulge in a pint or two after a hard day of work, the E Tipler Agent Wine and Spirits pub possesses excellent detail down to its snow-topped roof and intricate stonework. 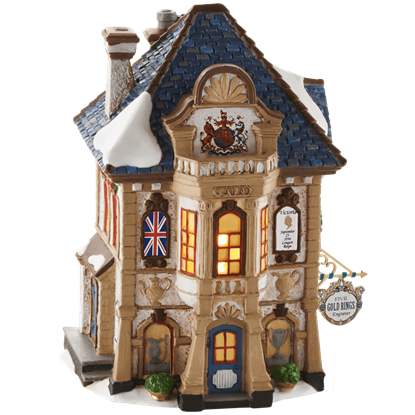 Celebrate the festive season with a gorgeous Victorian town display! 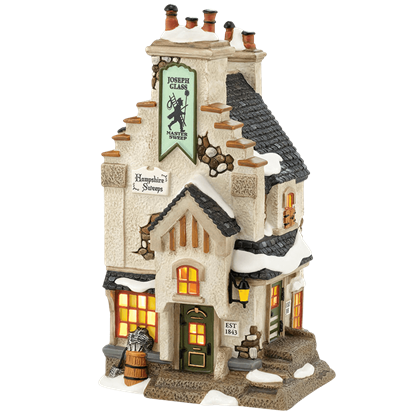 The Five Gold Rings Engraver hosts gold and silver smiths who craft an extraordinary selection of hollow-ware and serving pieces for the Dickens village. 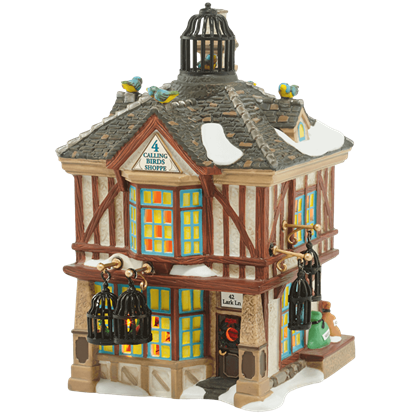 This charming Four Calling Birds Shoppe includes a specially developed sound chip of song birds to provide ambient background noise to your festive village scene. Birds were extremely popular pets in 19th century England. 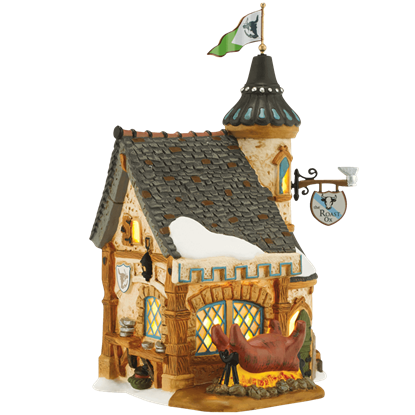 The Frost Fair Roasted Ox statue, part of the Dickens Village collection by Department 56, celebrates the historic traditions of the Frost Fair, a winter celebration once held along the Thames where rumors say oxen were roasted whole. With the arrival of the Age of Industrialization, the number of coal burning chimneys vastly increased in urban England and so did the need for chimney sweeps like those employed by the Hampshire Sweeps shop of Joseph Glass. 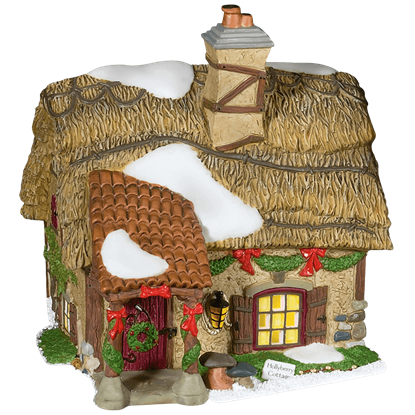 A thatched roof makes the Hollyberry Cottage a special piece to include in your miniature town. 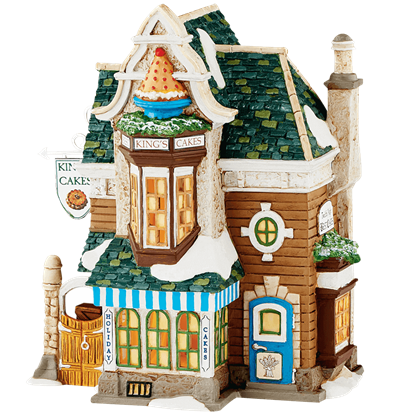 The illuminated porcelain residence possesses plenty of quaint charm with its holiday decorations and colorful door and windows. During the 1800s, speculating on which clipper ship carrying tea from the Far East would arrive first in Londons harbor was a popular pastime. The side of the Joseph Edward Tea Shoppe includes a sign announcing the race updates. 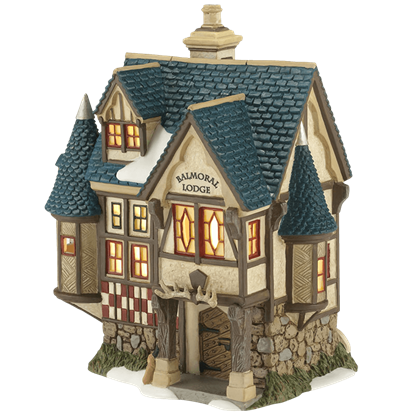 With its inviting, hand painted colors, Kings Cakes - a statue from the Dickens Village collection by Department 56 - advertises its delicious wares. 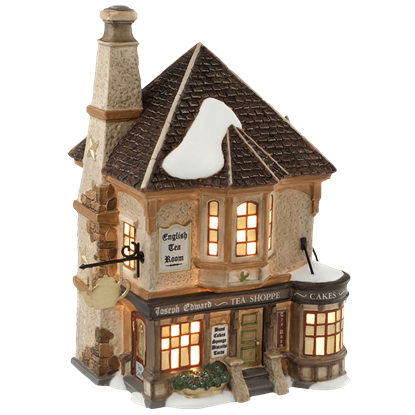 Made of porcelain and zinc alloy, this collectible depicts an extravagant bakery.